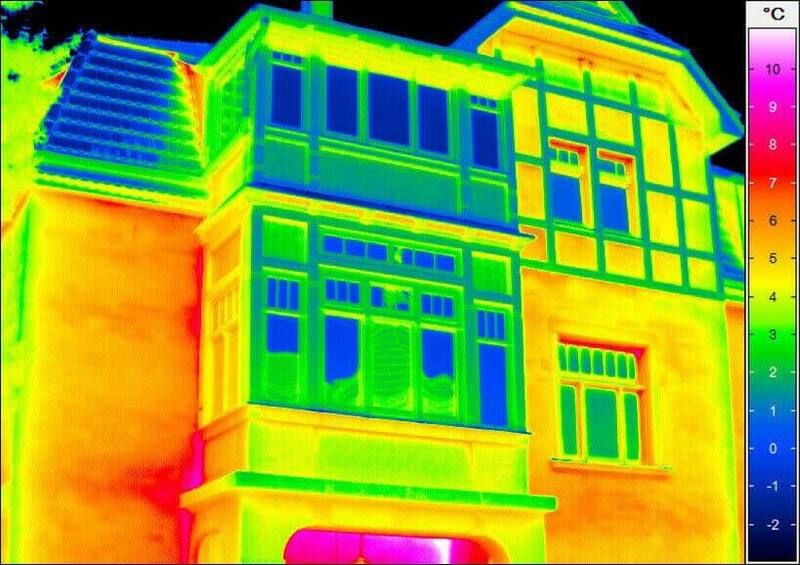 Increasing the energy efficiency of buildings has highest priority and infrared thermography greatly contributes to reaching this goal. 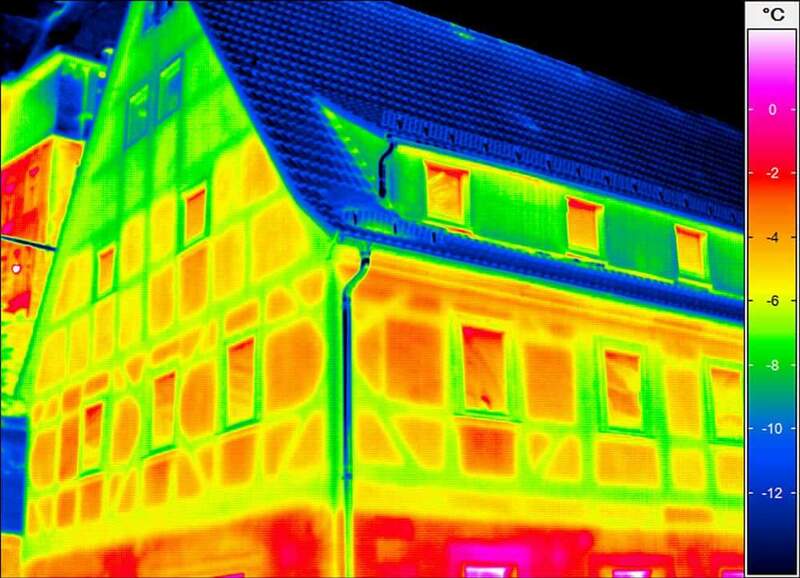 Inspections with infrared cameras quickly and easily indicate insulation problems of buildings. 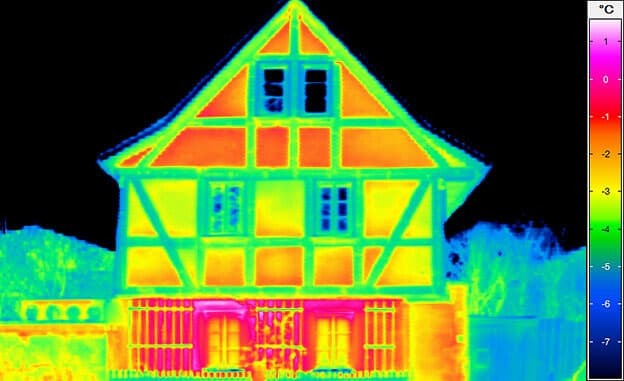 To do so the infrared camera systems need to come with a respective good resolution. 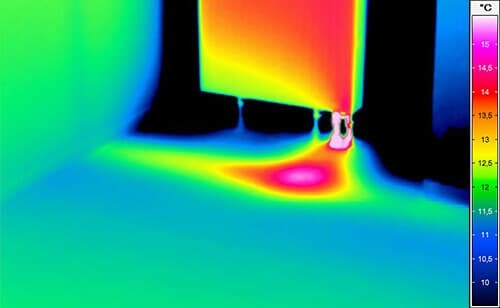 Firstly this is about thermal resolution. 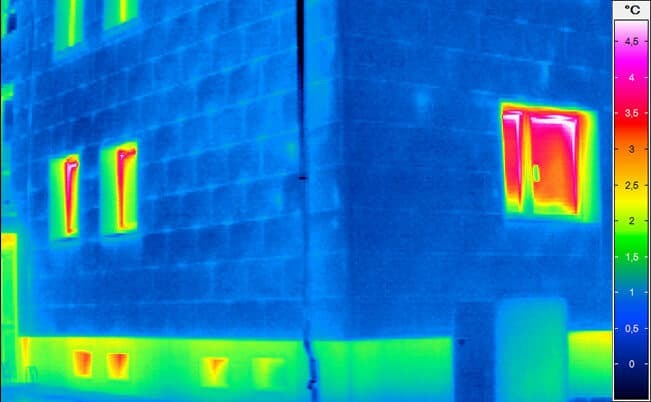 Infrared camera systems for building inspections should come with an especially good thermal resolution of < 40 mK (0.04 °C). 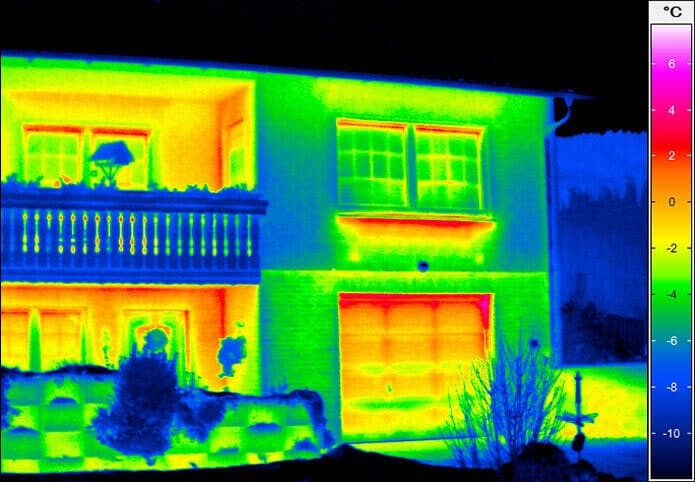 This means that they will even be able to detect faults securely when the temperature difference between outdoors and indoors is minimal. 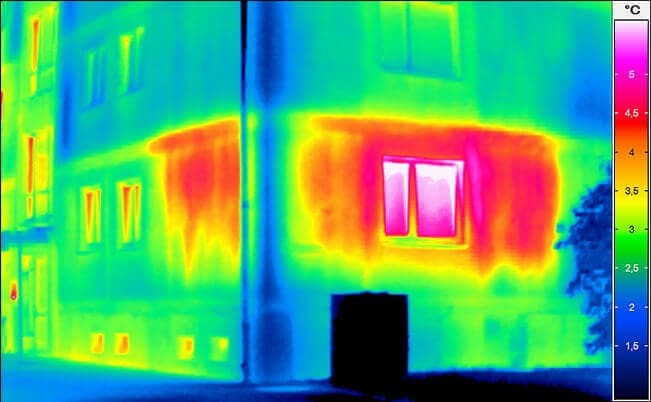 Only in such way infrared camera systems can be used throughout the year to pay off faster. 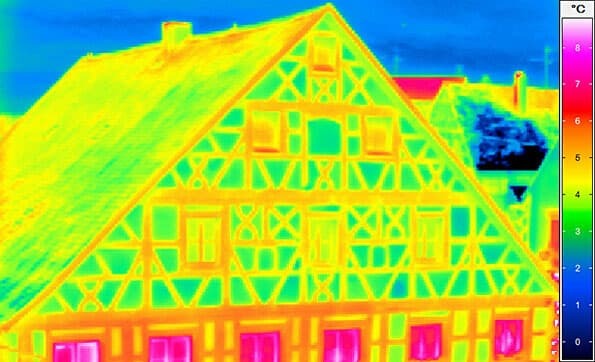 Also when locating leakages such a good thermal resolution provides advantages as faults in deeper areas can still be detected easier. The VarioCAM® infrared camera series of InfraTec is especailly suited for those demands also because of their high geometrical resolution. 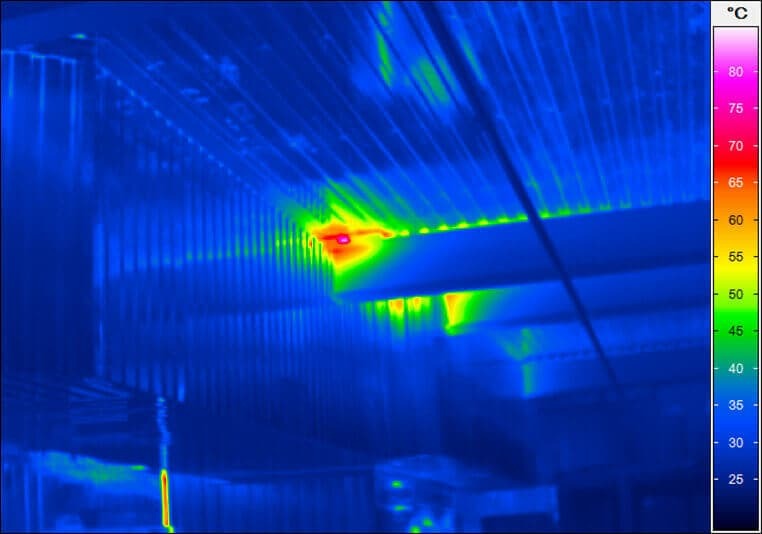 An infrared camera of the VarioCAM® High Definition series with 3.1 megapixels provides 16 times the number of pixels of a standard infrared camera with (320 x 240) IR-pixels. 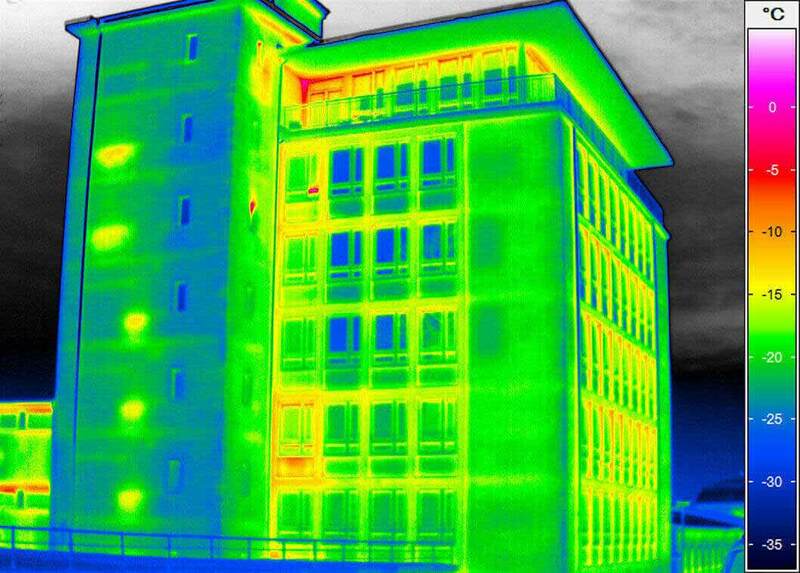 Thereby thermal images can be taken from a larger distance providing a view of the complete building and still show small details in a suitable resolution. 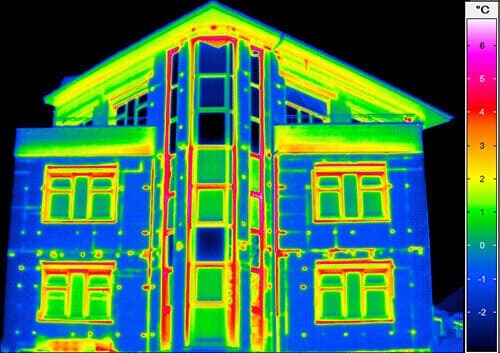 Like this building inspections become more efficient as there is no longer a need to take many small images, to stitch them together one by one for analysis. 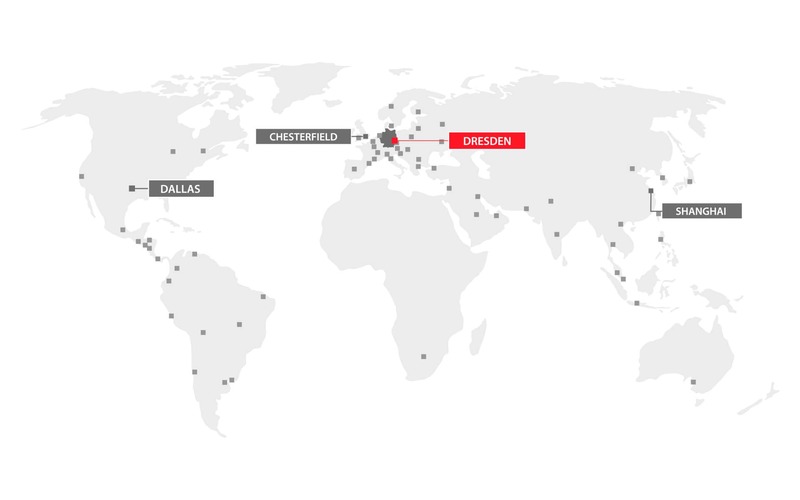 ARCHIMEDES Facility-Management GmbH is a full service provider for real estate and buildings. They offer comprehensive services ranging from planning, via facility management and building conversions up to complete refurbishment. Project Manager Dipl.-Ing. 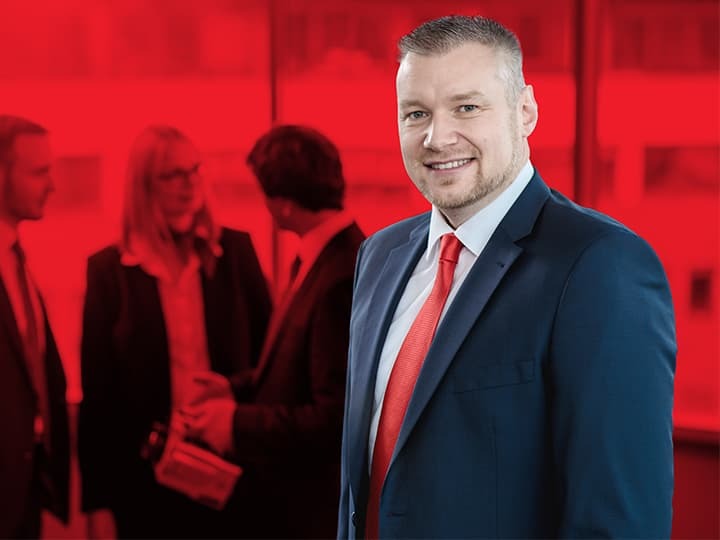 Olaf Hauck has increasingly regarded the usage of an infrared camera in his field of business as indispensable for fast and effectively detecting and analyzing poor conduction of builders' work. 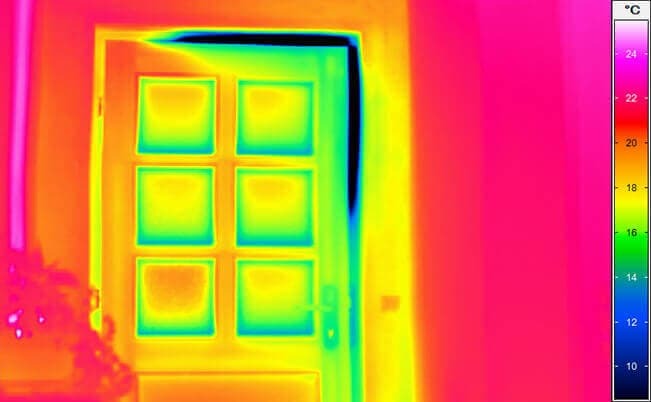 After having taken high resolution thermal images those images need to be analysed. 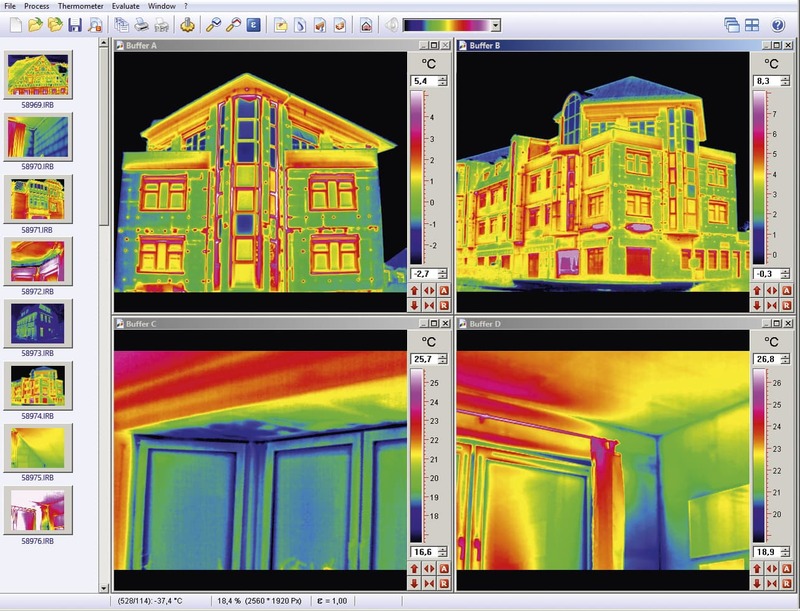 The thermographic software family IRBIS® 3 already supports many of the necessary analyses. 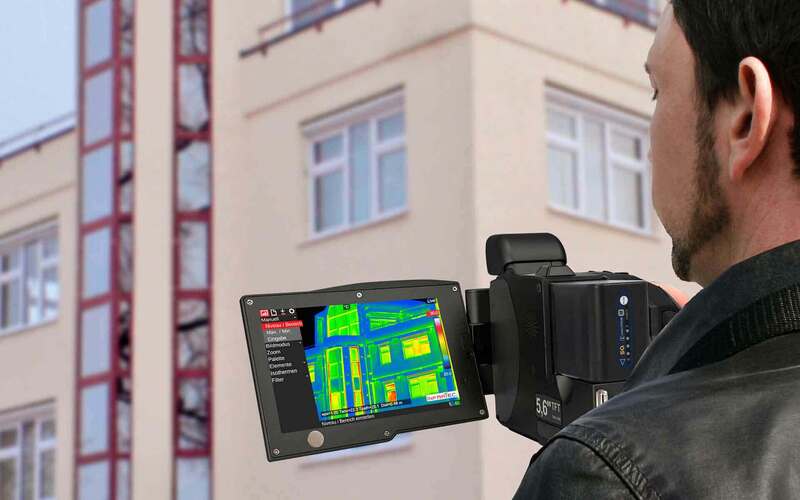 The special software for building inspections FORNAX 2 makes the production of those surveys even easier. 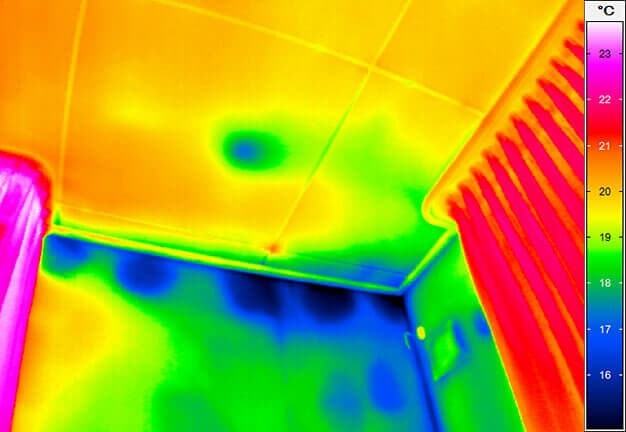 For instance the appearance of mould cannot only be detected but it can also be determined easily and legally proof whether this is caused by construction faults or inadequate behaviour of the users. 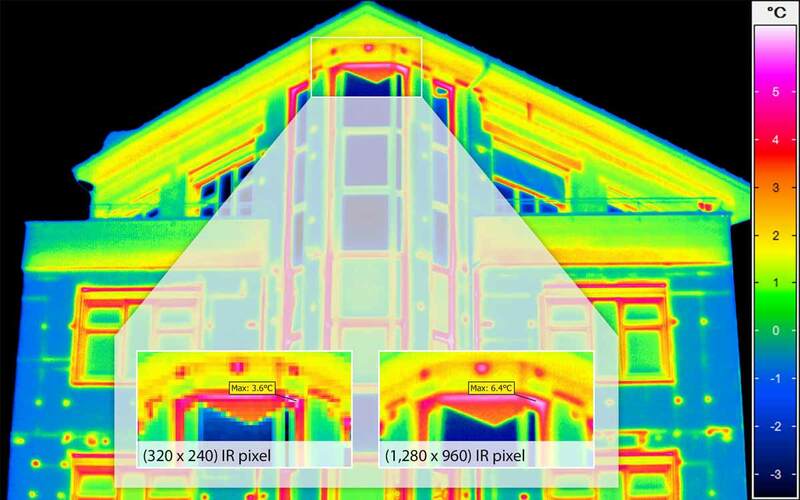 The good teamplay between excellent infrared camera systems and software result in big efficiency advantages. Like this not only pure qualitative advantages are obtained but also economic ones.